Here's what others are saying about Shawn Smith, The Mobile Pro, and his online video training courses, and keynote speaking at conferences. "Launching my podcast would not have been possible without the assistance of Shawn Smith, The Mobile Pro. I went through Shawn’s course, Podcasting Made Easy, and through his high-quality training videos, and the Group Coaching Calls, I had the opportunity to ask questions every step of the way. His instructions, advice, and gear recommendations has helped me to realize my podcasting dream. Now I can focus on creating content, and not the technical challenges. If Shawn can help me achieve this, then allow him to help you become a Mobile Podcast Pro too!" — Dr. Enwongo Ettang, Medical Practitioner, Blogger, Marriage Educator, Creator of EnwongoEttang.com, and Host of The Unique Marriage Podcast. "Shawn's very detailed, yet easy to follow training videos on mobile podcasting and audio book recording will help you produce excellent, high quality products to deliver to your audience. His training simplifies high-tech recording methods for the on-the-go professional. Even a non-techie like me can master the art of mobile recording, editing, and leveling based on Shawn’s amazing step-by-step instruction. Thanks, Shawn, for sharing your expertise and shaving months off the learning curve for beginners like me." — Sindy Nagel, Founder of SindyNagel.com, and Author of 7 Simple Steps to Hearing God’s Voice: Listening to God Made Easy. "After taking Shawn’s course [Podcasting Made Easy], and after those Coaching Calls, I feel absolutely confident - completely changed... I feel absolutely certain that with my iPhone, and a good mic and setup exactly as Shawn recommended, I can talk to [my audience] in the way in which my voice sounds good and natural. I can focus on the content of what I want to say, without worrying how the quality comes over - that is SUCH a relief! So many online courses are cynical, but Shawn’s course is heartfelt and life-changing!" — Jenn Burton, Romantic Fairy Godmother, Founder of JennBurton.com, and Host of Single Smart Female Podcast. "The Podcasting Made Easy course was tremendously informative. All the videos are highly detailed and thorough. Not only that, but having access to Shawn Smith "The Mobile Pro" has been a life saver as I work to get my podcast off the ground. Shawn's guidance and feedback have been instrumental. I'm so thankful that I took the course." "Shawn Smith - The Mobile Pro - made it incredibly simple for me to travel from Florida to Arizona with all of the equipment I needed to deliver live, studio quality podcasts from the conference site. Thank you Shawn for these easy-to-follow and incredibly helpful instructions!" "En Septiembre pasado estaba muy abrumado, porque estaba tratando de encontrar un micrófono adecuado para mi iPhone, para visitar los lugares y hablar con los propietarios y promover sus marcas a través de mi podcast. Bueno y yo encontré a Shawn Smith de The Mobile Pro. Shawn muy amablemente me envió su artículo con todos los detalles pros y cons sobre un microfono para mi y también qué tipo de la aplicación debería utilizar para este micrófono. Después hice mis entrevistas y los sonidos y la app ambos funcionan muy bien. Recomiendo a Shawn, que habla español también!" "Before Shawn Smith's Mobile Pro Podcast training, I believed I was tied to my office to do interviews for my podcast. Now, I can do on-site mobile interviews like a professional. Shawn's videos not only showed me what I need, but walked me through how to use the equipment. The Mobile Pro has given me freedom." "Shawn's Mobile Pro Training course is a game-changer. As a long-time podcaster, I was looking to take my show to the next level with "LIVE" interviews. I've heard Shawn speak before and he is clearly the authority in Mobile Podcasting. His course taught me exactly what I needed to without spending endless hours on training. You''ll get everything you need to get going fast and have the highest sound quality possible. I implemented his course with great success and can't wait to ramp things up with mobile podcasting. This would not have been possible without Shawn's course - it's amazing!" — Scott Iardella, MPT, CSCS, Author, Fitness Expert, and Creator of RdellaTraining.com and Host of The Rdella Training Podcast. "I think I spent more time at the Mobile Pro Studios than anywhere else at Podcast Movement '15! The two interviews I recorded there went wonderfully; beyond that though, Shawn was incredibly gracious with his time helping me explore the Bossjock app and giving me a few tips on the portable equipment I already own (in addition to suggestions to make on-the-road recording even better). Shawn really knows his stuff, so interviews sound great in the studio PLUS you'll leave with a wealth of new skills and information!" "Shawn’s video lessons are top notch, easy to understand, and most importantly, the instructions are easy to replicate. Shawn Smith is The Mobile Pro, but he is also a wizard, helping you take your podcasting show on the road with his field tested set ups. Like any master, Shawn has simplified a complicated subject and made it simple for the rest of us. 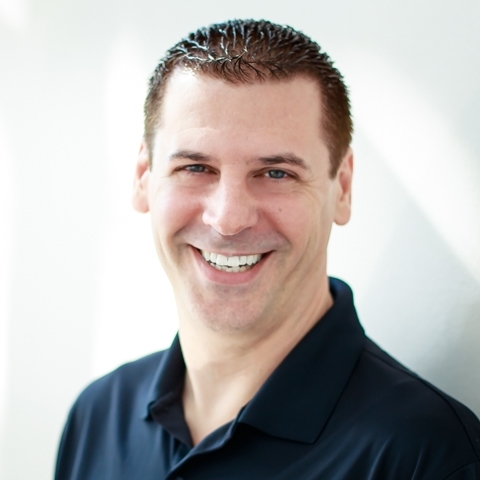 Don’t reinvent the wheel, let Shawn show you how you too can be a Mobile Pro." — Jon D Harrison, Founder of ClassicallyTrained.net and host of the podcast, “Classically Trained"
"Shawn lives and breaths mobile podcasting. He has assembled one of the most thorough resources available for recording on-the-go with his video training course. Beginner or seasoned professional, you will learn something to improve your podcast even if you do not buy a single piece of gear." “Everybody in the room at Podcast Florida was used to playing with Woody until Shawn came along as Buzz Lightyear with his new Laser & Jet Pack. To Infinity + Beyond with Podcasting On-the-Go!" "Everything (including podcasting) is going mobile. Shawn Smith provides excellent, clear training on how to setup a streamlined podcast rig on-the-go in this course. This will show you how to capitalize on any conference, meetup, or get-together and turn it into a podcast interview. Plus Shawn is a musician and gearhead ... the very type of person I want showing me how to use the latest tech. Highly recommend his video course on Mobile Pro Podcasting." "As a facilitator of live events I have seen my fair share of presenters. Shawn Smith is one of the most gifted presenters I have witnessed. He takes a technical topic like mobile podcast production and makes it attianable for anyone that has the desire to get their message out. I recommend Shawn as a Presenter as well as his course at TheMobilePro.net to anyone thinking about either. " 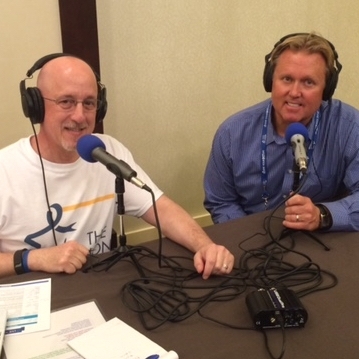 "I really enjoyed getting to record in Shawn's mobile studio booth setup at Podcast Movement 2015. Not only was I able to record with professional equipment like dual Shure SM7B mics but I got to learn a lot about recording with my iPhone and these pro mics. Getting to work with the Shure mics convinced me to make an upgrade from my Blue Yeti to the SM7B. I've been very satisfied with my decision and it's all thanks to Shawn's professional mobile studio and expertise." "Shawn Smith is THE AUDIO GUY. I discussed a problem with audio I was having while at Amplify. He pulled out of his bag a mic to USB device and suggested I use it to replace the mixers, and it works like a charm. He is like Santa with that bag - everything is in it!" Ever try to podcast from the road? Ever try to record an interview at a conference? It's complicated, expensive, and NOT mobile-friendly. After months of painstaking research with dozens of pieces of equipment, cables, and apps, I've finally cracked the code on how to record pro-quality interviews and full podcasts with an iPhone. You can’t buy 5 Ways to Record Podcast Interviews with an iPhone. There’s only one way to get it—by subscribing to my FREE email newsletter. Sign up with your email address to receive news and updates and get your FREE PDF guide, "5 Ways to Podcast on an iPhone"
We need to confirm your email address. Please check your email inbox for a confirmation message from shawnsmith@themobilepro.net. It should arrive in the next few minutes. If you don't receive it soon, please check your junk mail or spam folder.